Codeine is an opiate that can be used to treat pain in patients, and it is classified as a narcotic pain medicine. This drug is similar to hydrocodone or morphine, and it can decrease discomfort in patients that are suffering from pain-related issues. Codeine is also available in combination with aspirin or acetaminophen, and it is commonly prescribed as Tylenol with codeine. It can come as a liquid solution to be taken by the mouth, a capsule, or a tablet. It is important that directions found on prescription labels be followed carefully, and it should be taken exactly as directed by a doctor or pharmacist. 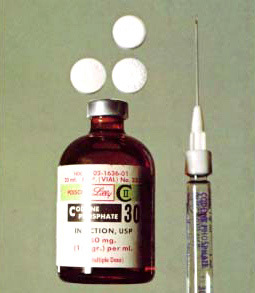 Codeine is used to relieve mild or moderate pain. In combination with other medications, it can also be used to reduce coughing. It works to relieve the symptoms of pain, but it does not treat the cause of those symptoms, and it does not work to speed up the recovery process. Codeine works by changing the way a body senses pain, and when it is used to treat coughing, it works by decreasing the activity within the part of the brain that triggers coughing.